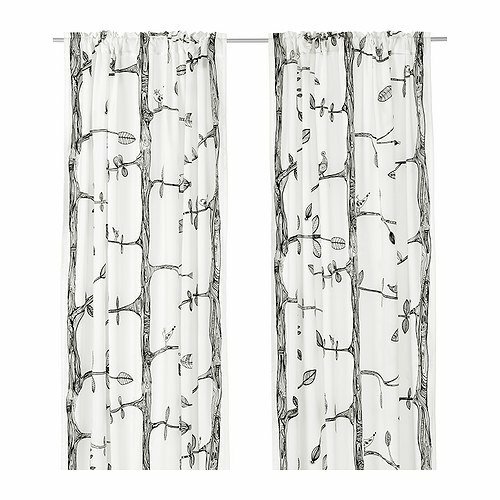 Black and White Curtains Are Popular - Great For Your Home? You are here: Home / home decor / Black and White Curtains Are Popular – Great For Your Home? 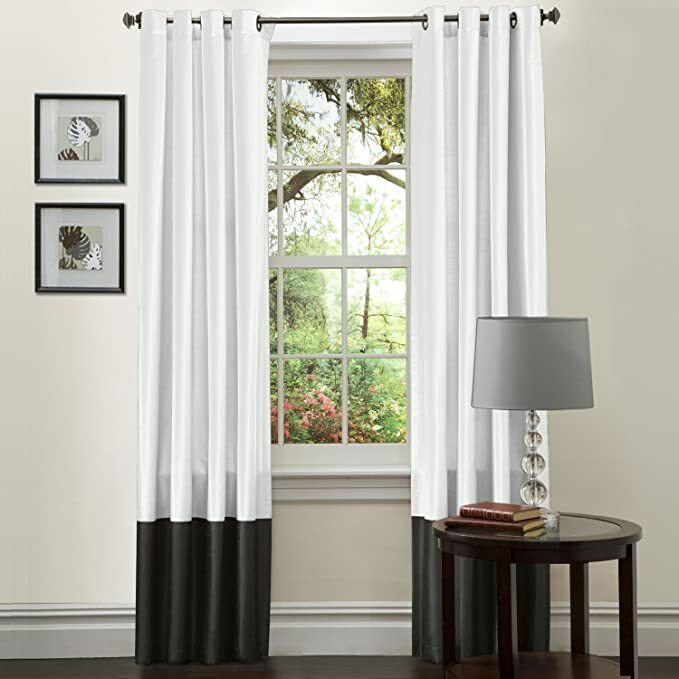 Black and White Curtains Are Popular – Great For Your Home? If you’re looking for a set of curtains but you’re not sure what color will go with your decor, consider black and white curtains. A room with cool colors, such as grays or blues, will make black and white curtains pop and complement the furniture and decorations. Even bright warm room colors, such as red or purple, look great with such curtains. There are many different styles of black and white curtains. Some are very elegant and formal, with beautiful detailed designs. Or there are some very simple designs for those who appreciate a more modern look. No matter what you’re looking for, you are sure to find a set that fits your style and your room. 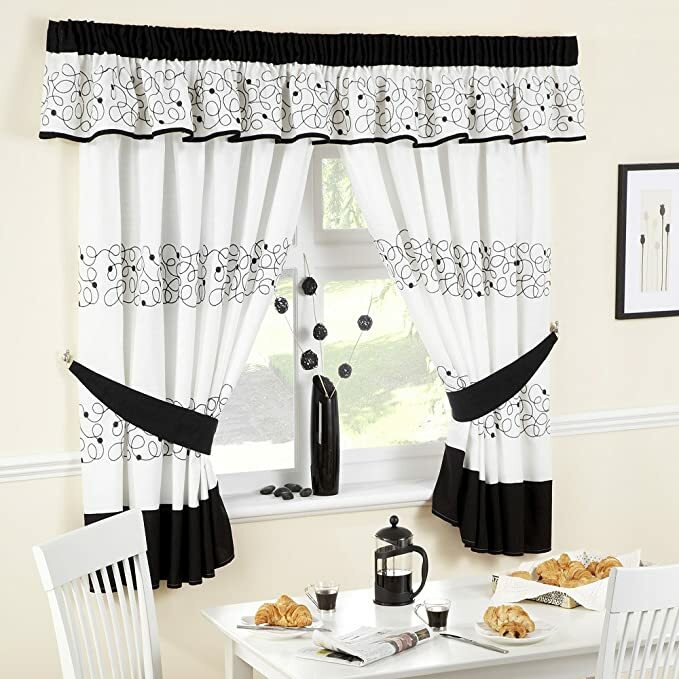 Below are some of the most popular black and white curtains on the market. You really can’t go wrong because they are all beautiful. It’s just a matter of taste and what will look the best in your home. Black and white curtains in the bedroom are an excellent way to may your room stand out. Many people like these in the bedroom because they like to sleep during the day or they just want to sleep as long and good as possible without light shining in their room first thing in the morning. 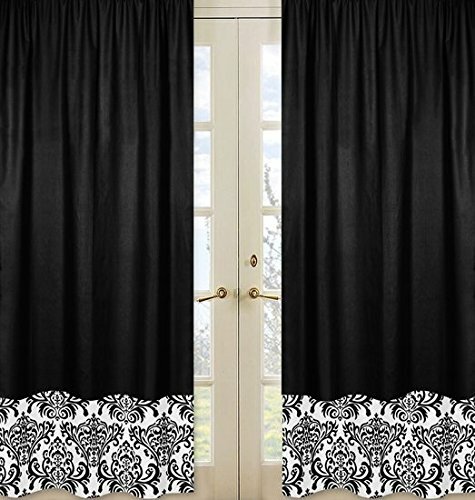 If your room is painted a bold color, black and white curtains will complement the room well. This color is dramatic and has a huge impact on all your room decorations. You can also accent the room with bright colors if your walls are still white or neutral. Take a look at these examples below which are both classic and contemporary. You see with the Gypsy Zebra Ruffle curtains that they’ve accented the room with a hot pink chair. They really look great together! There is only one panel per package so keep that in mind if you purchase these. Some reviewers say they are not the best for blocking sunlight, but are more for spicing up the room’s decor. Overall, it has great reviews! If zebra print isn’t your thing, that’s okay! There are still plenty of other black and white options. 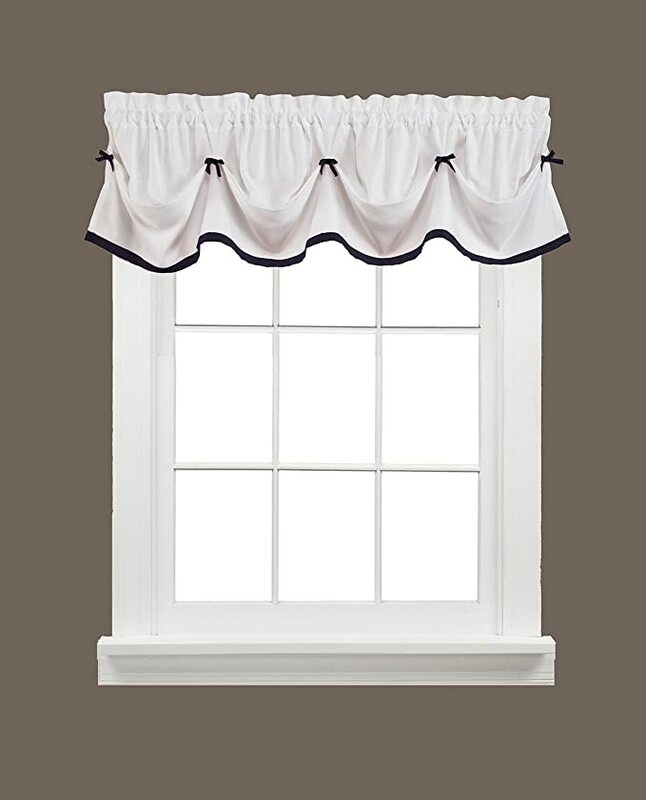 The Isabella window treatment panels shown below has a classical, sophisticated look. The combination of the solid black and the pattern at the bottom helps create balance so it’s not too boring or too busy. These curtains also have a lot of great reviews. The same curtains can be used for a bedroom or a living room, but sometimes you want something a little different for your living room. Here are a couple of great choices for the living area in your home. I like the first example because they have more white with a nice black design on it. If you’re going for a earthy-type look for your living room, this is a great option. Also, the primary white color allows more light to come in, which brightens up the room. I like the second option as well because from the window up they are white which look nice from the outside while at the bottom they are black which give it a nice look while on the inside of the house. They also allow more light to come in so that your living room space is well lit. Of course, there are many other black and white curtain options if neither of these suit you. Black and white curtains for the kitchen are great! I often think of a 1950s-style diner when I see black and white curtains in a kitchen, especially if it’s paired with bright red or yellow accents. Don’t these look great with the chair and table right underneath the window? In this picture the decor is also black and white and the walls are neutral colors, which looks nice. Don’t be afraid to add bold colors with these curtains, though. You can get these in a bunch of different sizes to fit your windows but I’ve included examples with the most standard sizes. Watch this important video about the recommended rod length for your black and white curtains. This recommendation makes your room and window arrangement look much more dramatic and it also allows more light to come in, which definitely helps save electricity. We did this dramatic affect with our office curtains and it looks amazing! Be sure to also order the appropriate length of curtains for the window you’re going to decorate. Make sure they will be long enough to gently brush the floor. I love black and white curtains, they are very universal in home decorating. I want some black and white curtains in my bedroom! Maybe some day.